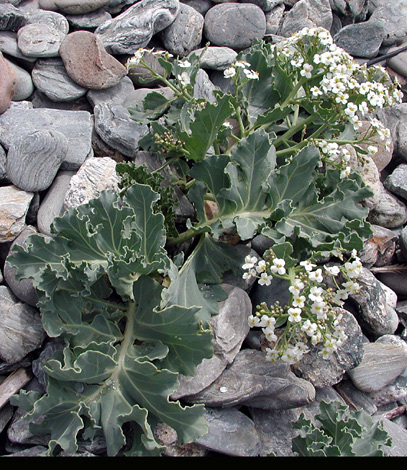 A seaside plant with edible leaves, it mostly grows on shingle or rocky shores in the UK. There is a reasonable amount in North Wales on Pensarn beach, Abergele and on Anglesey. 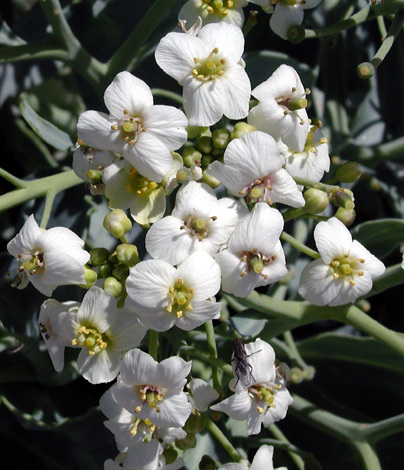 It was at one classified as a rare plant by Stace in Volume 1 but no longer in volume 2. It looks like a big cabbage and has dark glaucous (bluish) leaves. Pernsarn beach can be seen clearly from the A55 dual carriageway joining Cheshire and North Wales and going East. At the right time of year you can see these rarities in full flower from inside the car at 70 mph (National speed limit in UK). It is entirely coastal found in the south east and east of England, in the north west England and north Wales plus Dumfries in south Scotland but there it is less common in the rest of Scotland. In Ireland it is found on the southern coasts.